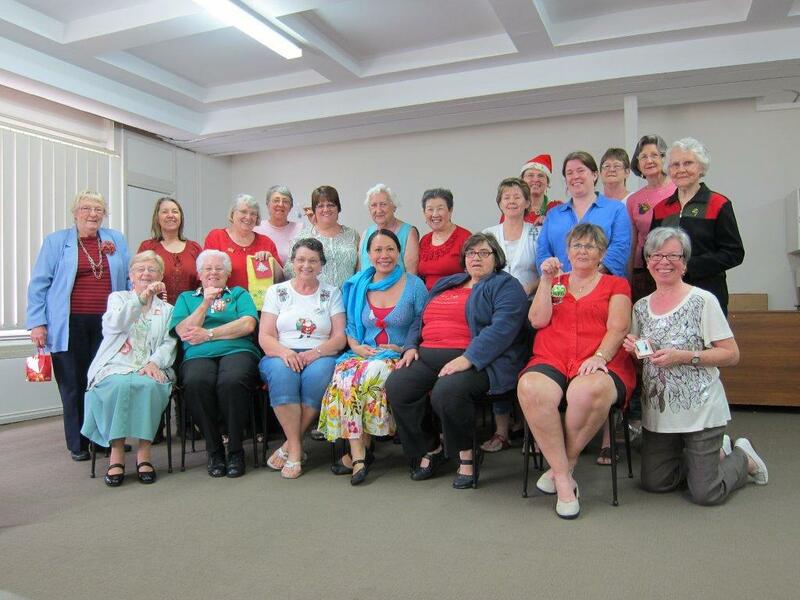 The Tatters Guild of New South Wales was formed in 1995 with a foundation membership of nine. In 1996 we became an Incorporated Association and in 1999 we changed our name to The Tatters’ Guild of Australia (NSW Branch Inc). By the end of the first year the membership totalled 31 and some of these were from interstate. Membership continued to grow and we regularly had 30 or more members attending meetings. The first meetings were held at West Ryde , however in 1996, we started having our meetings at the Epping Creative Centre, Dence Park where we still meet today. 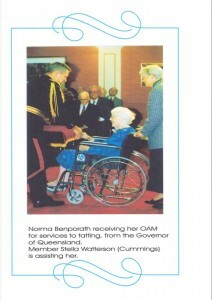 Norma Benporath being awarded her OAM. 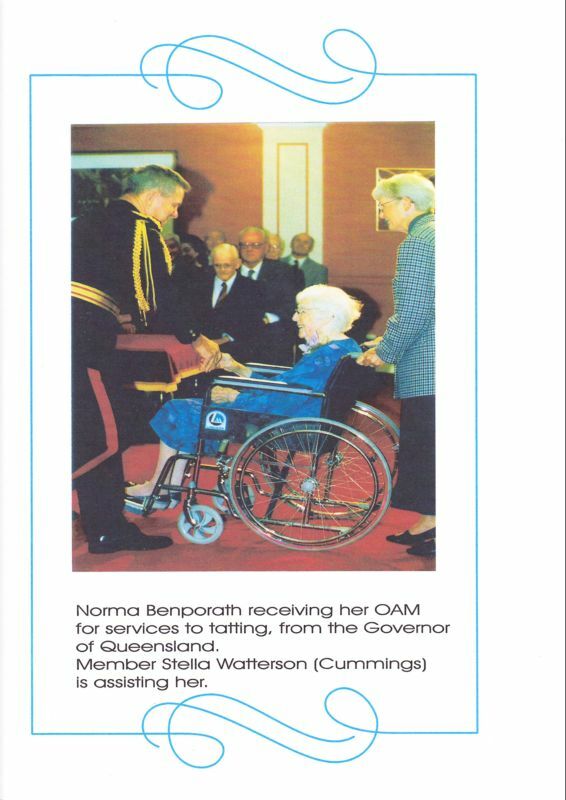 In 1996 we were delighted to welcome the noted Australian tatting designer, Norma Benporath, as an Honorary Life Member. Although born in New Zealand she spent a lot of her life in Australia. Her achievements are all the more remarkable when you learn that she only ever had about 60% sight in one eye. 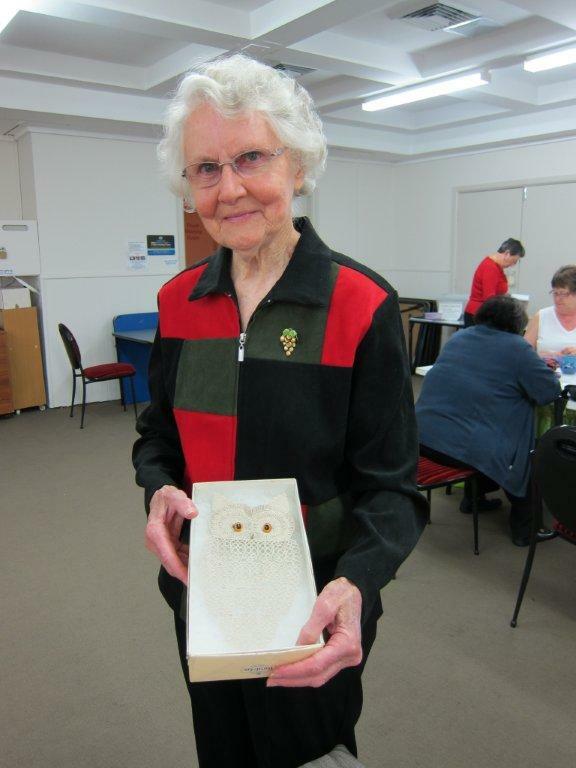 In 1998, Norma was awarded an OAM (Order of Australia Medal) for services to tatting. Sadly she passed away in July of that year at the grand old age of 97. We are greatly indebted to her for so many wonderful designs and have been given permission by Norma to put some of her patterns in our newsletters occasionally. In September 2012 Mavis Edwards was made an Honorary Member of the Guild in recognition of her years of skill, dedication, teaching and promotion of the art of tatting. Mavis was presented with a certificate of appreciation, and in return, Mavis donated many of her exquisite pieces to the Guild library for display. The achievements of Mavis are remarkable and impressive when you learn that she was given five minutes of tuition in how to tat by an elderly lady, Mrs Havell, and was able to read patterns very quickly whilst recuperating in hospital. This was the only instruction that Mavis ever received for tatting – the rest she taught herself from books. 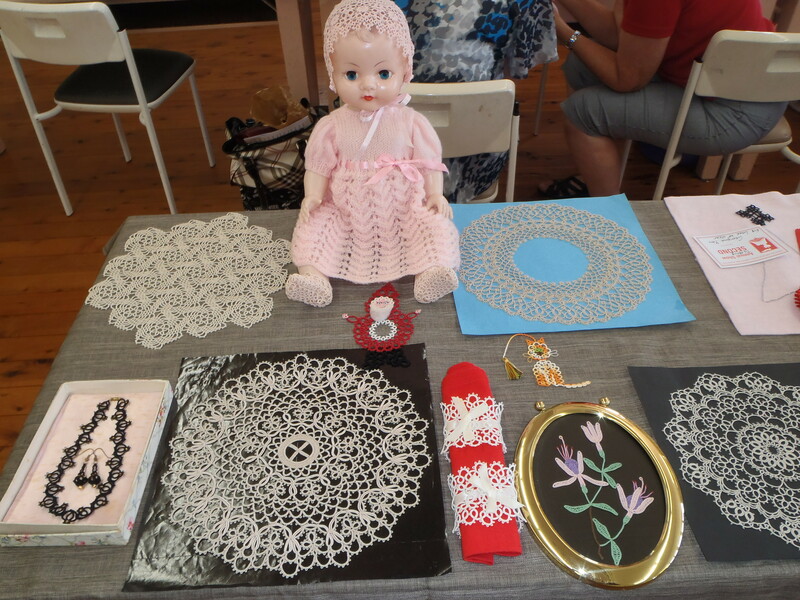 Mavis taught tatting at the St George Arts and Crafts Association for four and a half years before joining the Guild , where she had been a member for fifteen years. At our 20th year celebrations in 2015 we were very proud to make Judith Merlin an Honorary member, as Judith is one of our originating members. We all thanked Judith for her great contribution of starting the Guild along with her other 8 tatting colleagues because without this enthusiastic group of ladies starting the Guild we wouldn’t be able to enjoy coming together today. 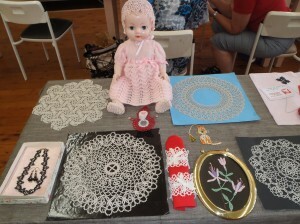 Now we have approximately 40 members and look forward to new members joining us and enjoying our passion about tatting.